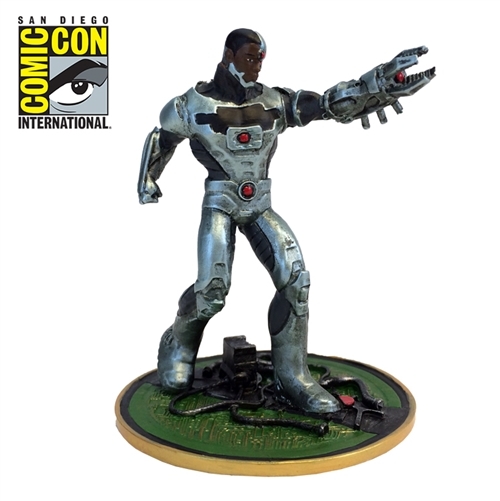 This Justice League Cyborg Metal Miniature features prosthetically-enhanced super genius Vic Stone. 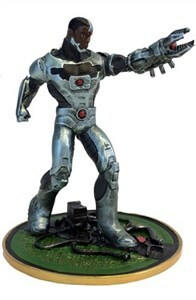 This heavyweight collector grade 1:32 scale solid metal collectible features a highly-detailed finish and is spun cast in small batches and hand-painted to exacting standards, perfect for any discerning collector. LIMITED EDITION OF 500.